Facebook, Diaper Swappers, and other on-line parenting communities often host diaper co-ops, but in some cases, they can be risky or questionable. Most of the big-name cloth diaper manufacturers will not allow co-op orders or buyer's clubs to buy wholesale cloth diapers, but you can get lesser-known brands this way. 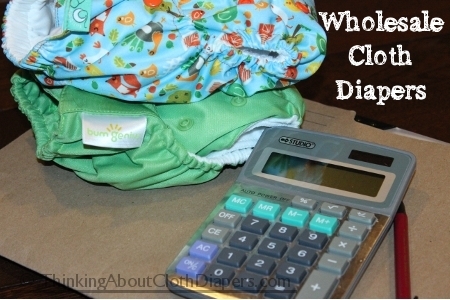 Cloth Diaper Geek has a detailed explanation of co-ops, how they work, and the risks you may experience should you decide to buy wholesale cloth diapers from a co-op here. You can find established co-op groups on-line or start one of your own. In order to buy wholesale cloth diapers, most manufacturers will request proof of your cloth diaper business. In fact, many of the bigger brands will not allow you to place your first order until you have your business is registered, fully running and your website or bricks-and-mortar store in place. Cloth diapers are a niche/specialty product, so unless you have a lot of experience with them and are knowledgeable about various brands and types, you will be unlikely to succeed. The ABC Kids Expo, which runs in October each year, is attended by many manufacturers and can be a great place to get more familiar with the brands and products in person. You can find out more on their website. Look for high-quality brands that have brand recognition. Consider products in various price ranges too, as customers will come from all walks of life and budget ranges (unless you want to pigeon-hole yourself to catering to specific crowd). Products with excellent warranty and customer service - you're going to have to deal with both! 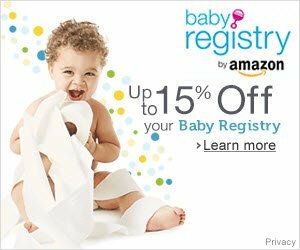 Some manufacturers such as Cotton Babies (bumGenius), Sustainablebabyish/Sloomb, and others, have retail price maintenance policies. This means that you will be required to charge the same price on these goods as all other manufacturers, and you can't have unauthorized discounts or sales. These companies dictate regular and sale prices, and even when sales are available. Retailers must carry high levels of inventory. Most manufacturers do not offer drop-shipping, and many have minimum order levels. You will also want to carry enough choices for parents that are looking to test-drive multiple brands so they can save on shipping and don't need to look elsewhere. 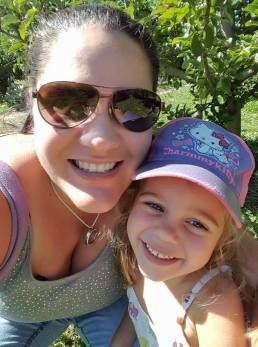 Moms are, for the most part, very connected with other moms. Most successful cloth diaper retailers have a great business plan, are good at book-keeping, marketing, and advertising, and are active with social media through blogs, Facebook, Twitter, Pinterest, forums, and other activities. They are also usually well-connected with other local moms. If you want to start your own store, you'll face more challenges. Your sales will need to be high enough to cover your overheads: building rental, staff salaries, insurance, taxes, and other bills.